Preschool-aged children can experience some separation anxiety during the school year, and this is especially true if they have never been in such a setting before. Though these children will need some time to adjust to a new routine, where they must leave home and spend their days with other children their same age, sometimes parents need some help adjusting when they have to go to work, too. Here are some tips for making those adjustment simpler for both you and your child. One of the best ways to acclimate your child to the preschool setting before his or her first day involves practicing his or her social skills ahead of time. Though you likely already schedule play dates and take your child to the park to play with others, this is different from a structured learning environment with anywhere from eight to a dozen other kids. Talk with some of the parents of other preschool-aged children and consider setting up a larger playdate at someone’s home. This way, children can get used to being in larger groups, easing their transition. When they happily go off to preschool, you can feel better about going ahead to work. If you are still struggling to come to terms with being separated during the day, you can ease both of your transitions by arriving to preschool early in the morning for the first week or so of the academic year. Arriving even 20 minutes early (with the teachers’ prior approval, of course) will give you some time to spend together in the school setting before you must go to work. For some kids, this is much like a security blanket. They are aware their parents must leave, so they enjoy the small amount of time they have with their parents and their friends before their day even starts. If you are returning to work after an extended absence, one of the best ways to acclimate into the new lifestyle is to start out by working only part time or telecommuting one or more days each week. This way, you and your child can slowly make the transition back to a full-time position, and you can simply work a few more hours away from home each week. Before you know it, both you and your child will feel adjusted to your new schedule, and everyone will be happier for it. Finally, consider whether your child will go to a babysitter, a day care, or a preschool during your working hours. Though there are some benefits to babysitters and daycare centers, there’s no denying that preschool is the best choice. This combines the play and fun of day care with a more structured environment that will help your preschooler learn social skills required for kindergarten and beyond. Private preschools can take this a step further by giving your child more one-on-one attention, and this can provide you with some much-needed peace of mind. If you will be returning to work and you fear the effects of separation anxiety (for both you and your child), these tips can go a long way to make the transition process smoother. 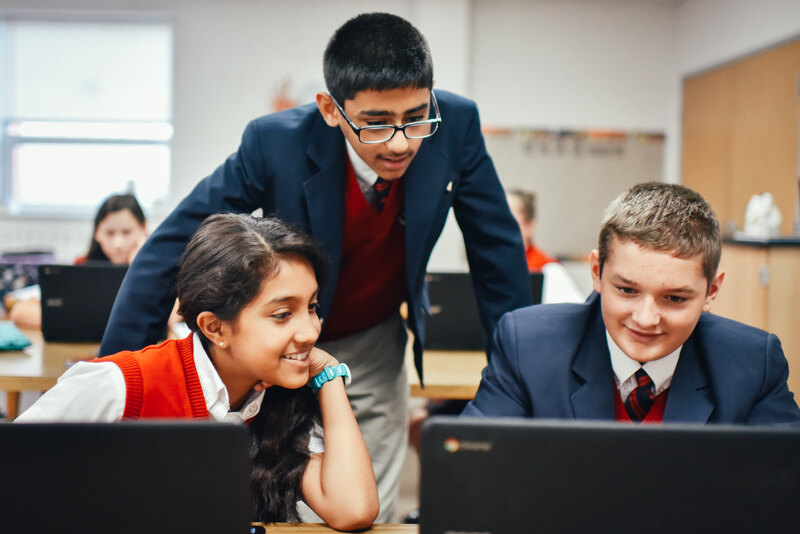 If you live in one of several Chicagoland communities, including Lake Bluff, Libertyville, and Lake Forest, East Lake Academy offers an enriching preschool program taught in a Catholic environment.